On the 14th, the opening day of UNWDRR, events to share the Ishinomaki-city Okawa Elementary school tsunami damages were held in various locations in Sendai-city. At the Thematic pavilion, a symposium to pass on the lessons to next generations was held. At the L-park Sendai and other venues, the bereaved and school graduates stood to give speeches. 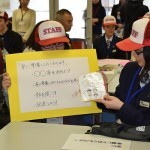 “The Meaning of Life: Learning from the Courtyard of Okawa Elementary School on 3/11” symposium at the support center was held by a NPO, KIDS NOW JAPAN. 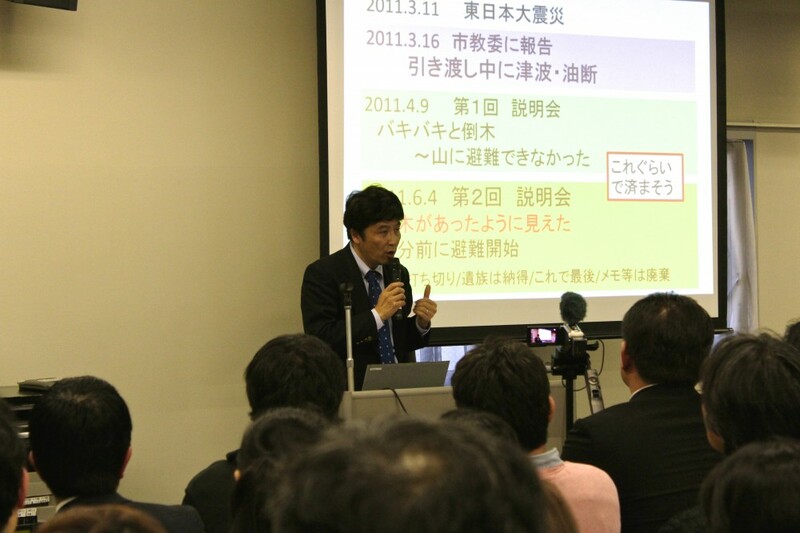 There were mounting interests regarding the tragedy at Okawa Elementary School, where a total of 84 pupils and school staff were victims or went missing, resulting to an audience of totaling 330 people, far exceeding the expected turnout. Panelist of four comprised of the bereaved and experts appeared to verify the tragedy at the Ishinomaki Okawa elementary school and share the lessons learned to next generations. Mr. Toshiro Sato, the executive director of KIDS NOW JAPAN who lost his second daughter at Okawa elementary school opened the session by saying “we all gathered at the courtyard of Okawa elementary school of that day”. By using charts, Mr. Sato explained what kind of circumstance the students were in at the time the tsunami struck and the evacuation route. He emphasized “Do not leave the reason for the lost lives obscure.” Further, as one of the factors that failed to protect the students, Mr. Sato pointed out the issue of the school organization’s decision making and emphasized the necessity to “assume the unimaginable”. He raised the alarm by saying that “If we cannot pass on the lessons of Okawa elementary school to the future, a truly unforeseen wave will hit us”. 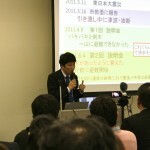 Mr. Takeo Saijo, a visiting associate professor at Waseda University, used a unique method to structurally analyze “why the students failed to escape”. He pointed out that “complacency due to zero experience of tsunami” ”deficient evacuation manual” existed as backdrop of the tragedy. Mr. Saijo placed emphasis on the importance of emergency manuals. “Lack of awareness of river tsunami” was also a factor that lead to the tragedy. He mentioned “People tend to think the tsunamis only occur at sea but rivers are connected to the sea. You must be vigilant”. At the “Miyagi Kids’ Conference” held at L-Park Sendai, four graduates of Okawa elementary school including Mr. Tetsuya Tadano, who was in fifth grade at the time of the disaster appeared. They shared their past year activities calling to preserve the school building as a disaster remain along with their feelings towards their school. 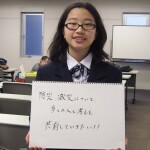 “I hope the school will serve to be a catalyst for many people to learn the horrors of a tsunami. We must come up with an answer based on in-depth discussion within the local community. 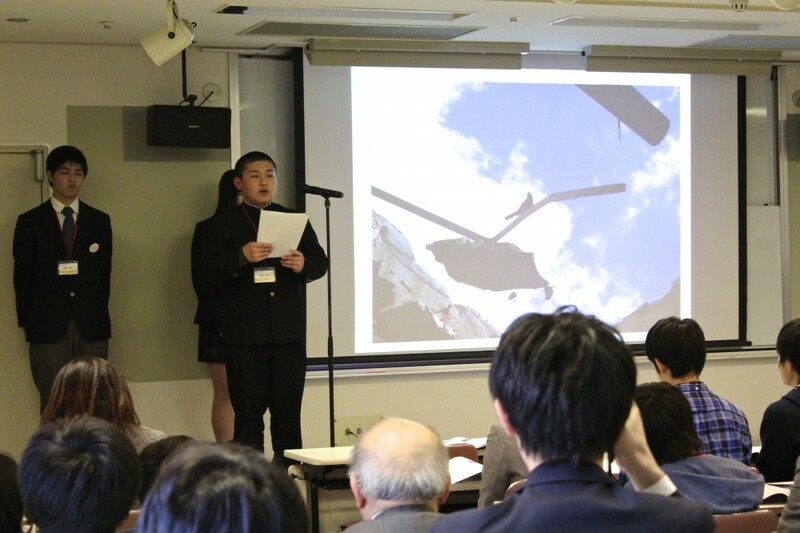 Also at the World Junior Conference on Disaster Risk Reduction held at Sendai Civic Hall, three graduates of Okawa elementary school gave a speech. Gathering the threads of their stories by remembering and containing their friends’ memories – attendants listened closely to the voices of the future actors of DRR. Copyright © せんだい・みやぎNPOセンター All Rights Reserved.